Every year I talk about it, every year I do nothing about it, this year I'll be damned if it happens again. My desire for everything sci fi and generally "geeky" has always been there but has also been growing more and more steadily over the past decade. Last year, it appeared to hit a catalyst and almost triple in size. I blame my book. And the Internet. The Internet has been feeding me sci fi fandom with every click I make. The thing that I talk about and yet never do is simple: I want to go to Comic Con. I've wanted to go for years. At first, I was scared that my fandom hadn't reached a level high enough to enjoy the weekend, so in fear of being chased out of the building for being unworthy, I had steered clear. As the years went on, I began to realise that I had become suitably obsessive over enough niche sci fi areas, and so would probably be accepted in certain circles of the Comic Con experience. I have now progressed to the over-the-top obsessive passion that is required for full fandom when it comes to the world of sci fi and fantasy. I adore it and have spent the majority of my life over the past year, not only routing the internet for any and all additional information I could find on my favourite shows, but also coming up with future storylines or alternative scenarios for each and every one of them. Yes. This year, I feel I am ready to join the throngs of the passionate fans. I have reached a point where the mere thought of being there sends shivers down my spine. I want to go... nay, I need to go. This being a Wind Back Wednesday however, I thought I would explain to you the origins of my obsessiveness to fiction. The genres have changed over the year, but the passion has always been there. 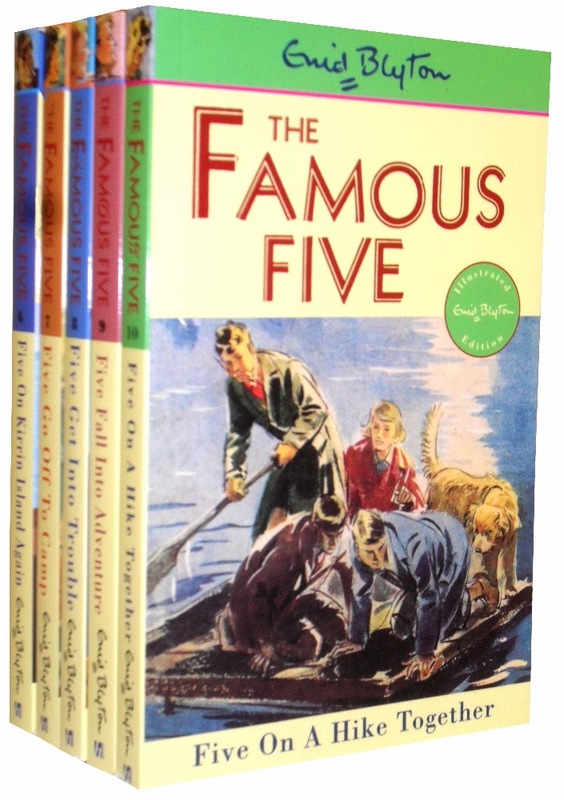 At the age of 6, it was for the books on the Famous Five. I would lock myself up in my room and do nothing but read about their adventures on solving crime. I couldn't get enough of them. And then, once I had read everything they had done, I needed more. I can only really remember doing three things with my spare time when I was a kid. 1. Playing in the grounds of the college we lived in with my two best friends. 2. Reading copious amounts of books in my room. As I got older, the playing after school thing didn't become as big a factor as the other two things. My interest in Famous Five turned onto the Goosebumps books. I also became obsessed with writing my first novel. And write a novel, I did... well, more a novella perhaps. I took one of your standard A5 school exercise books, and started my book. I couldn't tell you what it was about, other than it was highly influenced by the Famous Five books... I don't have any copies of these "books" now, as I used to then give them to friends once finished, seeing it as my own personal way of publishing it by doing so. 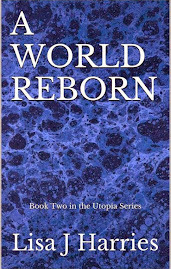 An old school friend got in touch with me shortly after I had published Utopia and said that she still had one of those books. She's going to send it to me, and I cannot wait to read it. The one golden rule that I remember about writing these books however, was that the moment I reached the last page of the exercise book, the story had to be finished. I had to wrap everything up and make sure it was all nicely concluded. Which I remember doing well... although, again, I would love to read them back now and see just how well I actually did this. My post title mentions the people who enabled me over this time, and I am aware that I haven't yet spoken about that, so I will. Truth is, pretty much everyone around me when I was a kid used to encourage my writing. The-Parents would always be getting me new exercise books and allowed me to drag them to the library on a regular basis for further reading material. 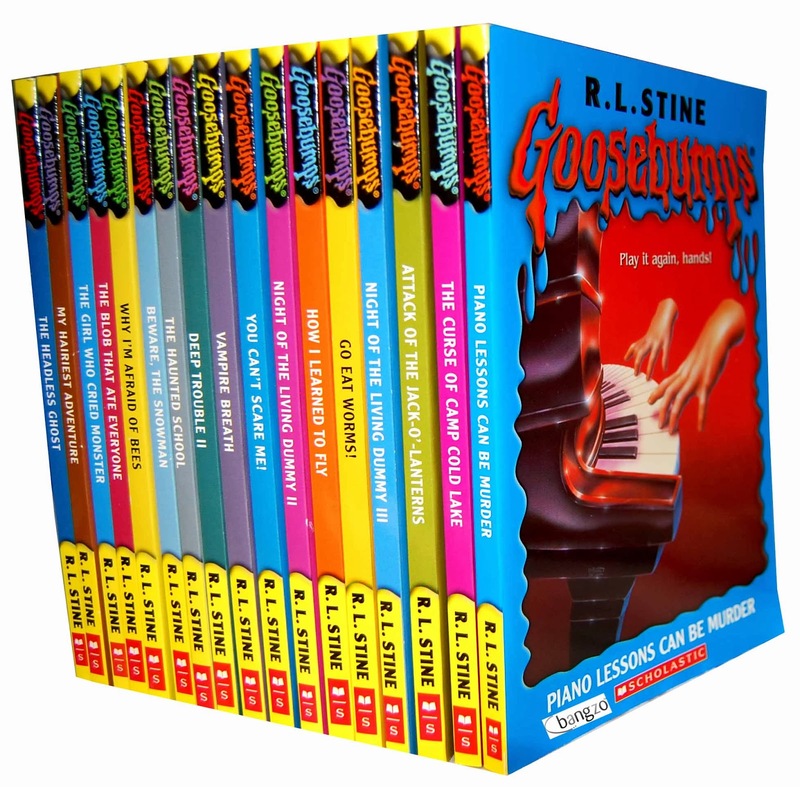 We went to Universal Studios, Florida when I was 10, and I remember The-Father following me around for ages as I desperately searched for new Goosebumps books in the shops. He never complained, he just dealt with it, no matter how picky I got. One of my earliest memories of Marmie was her going out of her way to teach me to read. We used to sit at the bottom of her bed and she would get the word flashcards out and sit for hours with me as I learnt the words. I also never remember hating those sessions. 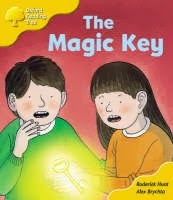 I caught the bug for reading from really early on, and I was never content with just Biff and Chip and their magic key. Instead, I just remember having this thirst to read more and Marmie and The-Father never left me hanging with a new book to try. 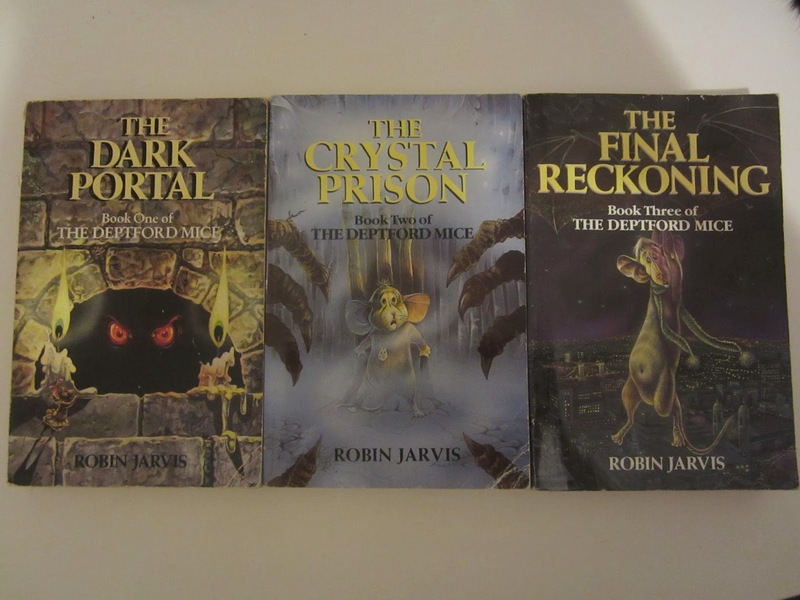 (seriously, if any of you have kids around the age of 9 and 10, buy them these books... hell, buy them for yourself, they were awesome) was the time that my Year 5 teacher did the most enabling thing that I think anyone has ever done. I don't know if any of you have that particular memory of where a teacher went the extra mile for you which then sparked off your path today, but I did. Her name was Miss Stuart and she's the only Primary School teacher that I remember the name of. I don't know how this exactly happened, looking back, all I know is that it did and it is one of the most empowering and fond memories I have of that school. Basically, after our last class was over for the day and everyone had stacked their chairs on the table, Miss Stuart would allow me to come to the front of the class and read everyone a chapter of my short story. It was always only one A4 page long, and the frequency of when this would happen is a little fuzzy. I remember it happening every day, but it most likely happened once a week in reality. My stories would be about our class and the adventures that we went on. There were identical twins in our class, who I had nicknames "The Terrible Twins", there was last week's mentioned friend Andrew who's obsession with Power Rangers meant that he would turn into one at random moments. Every chapter I rotated the characters and tried to get every one in. We had a pet parrot who took us on a pirate ship in one of the stories and another one involved us going into space, if I remember correctly. It was single handedly my favourite and most precious moment from my Primary School Years. The whole class would get into it and make suggestions for what I should do next in the story, and the memory of my standing in front of the class whilst they all stood by their stacked chairs and listened to my story, is one that will be forever etched into my brain, never to leave again. I tease about The-Parents sometimes and the silly things that happened from my past, which may (as Marmie has said) have painted them in a bad light. But I only mention those things because it is a lot less embarrassing and awkward for me to talk about those instead of getting all mushy about my feelings and shizzle. However, and I don't know if this is because I'm in a sentimental mood as I come down from my high of making Comic Con preparations, I do want to say now just how lucky I had it. The-Parents, my teachers and, indeed, pretty much all of my friends, have been massive enablers of my imagination over the years. They embraced the weird and went with it... I know I am who I am today because of the complete lack of discouragement from my dreams when I was a child. Even if I never make it as a successful full time writer, even if I just do this, writing in this blog to you guys and self-publishing books whenever I finish one, I can be happy to know that I was able to get this far because of the people around me who loved me. My passion for reading was created from Marmie's unwavering devotion to teaching me the words. My creativity was expanded because of the games The-Father used to play with us, such as making us create ridiculous machine designs similar to those found in Wallace and Gromit, Casper and Back to the Future, and making us come up with spontaneous stories on the spot when on long walks. My confidence in showing my writing came from people like Miss Stuart who went the extra mile, and the countless times The-Parents and The-Grandparents would sit through hours of mine and my brother's performances, dances and plays. For every performance I did in school (and guys, I did a lot... at least 8 a year), not once was there no one from my family present in the audience, camera in hand. I joke that The-Parents despair of my constant living in the clouds, but truth is, they were the ones who encouraged me to stick my head up there in the first place... they may be looking back on that now and regretting their decisions, but thems the facts. I wouldn't be who I am now without them. The good and the bad. And for that, I am forever grateful. I love the passions I have and, from coming out of a fog of almost 10 years where I was capable of little other than the feeling of indifference, I completely adore the ability I now have to get as excited as I do about them. 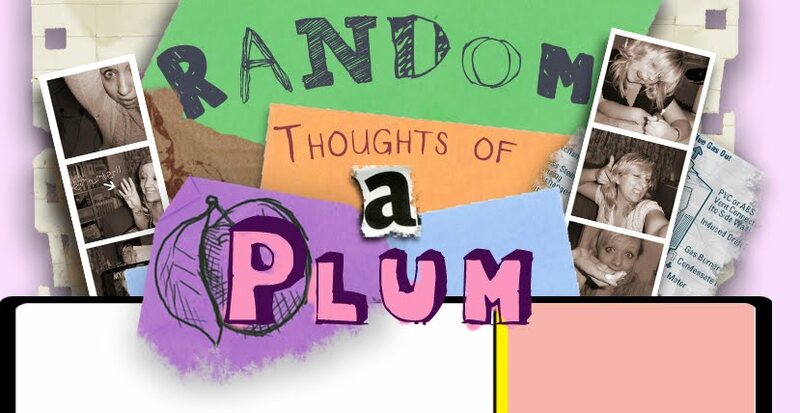 So there's my Wind Back this week, a little more sentimental than I usually do it, but those who read the blog regularly will know I do that every now and again... I'll probably switch back to sarcastic teasing again tomorrow, don't you worry about that. My Tina Fey T Shirt. Should be a success. He's done it. Justin Bieber has broken me. Dear World: Please don't end. Love Lisa.